This is a really easy craft that children and adults can enjoy. 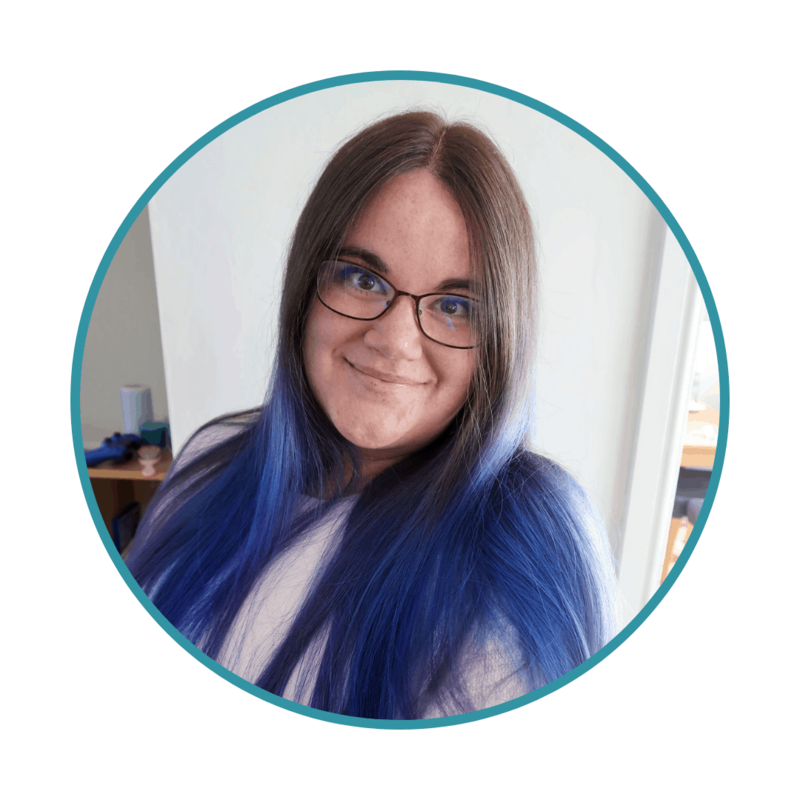 You can keep it simple, so that even small children can take part, or you can add as much precision and detail as you like, meaning these fans could work well as actual celebration decorations. As this month’s Bostik theme is Chinese New Year, we have chosen to give our fans a Chinese style. However, you could use colours and embellishments to suit any occasion. Firstly, take three sheets of the A4 card or paper that you have chosen. 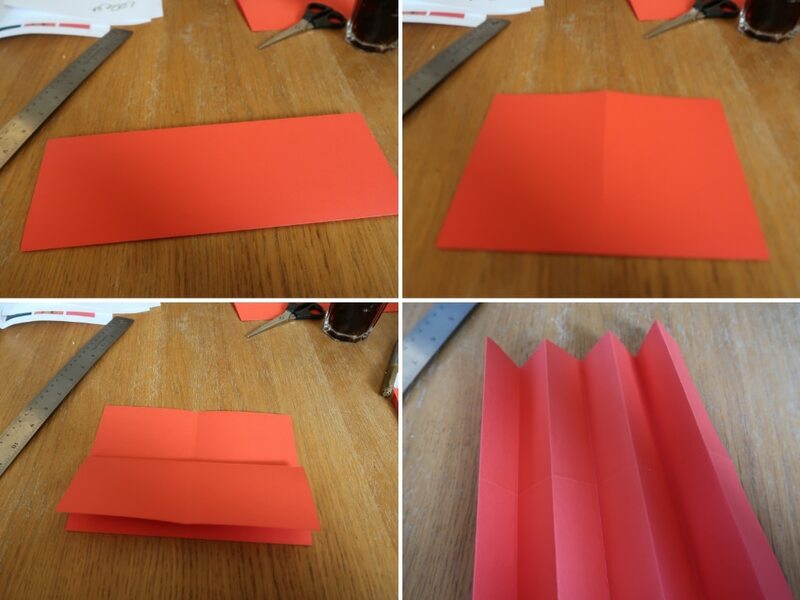 Fold each sheet, lengthways, and score to make a line. Next, repeat, folding the card the other way so that you have divided it into quarters. Fold the card so that you divide each section into half, and then into half again. The end result should be that you have a concertina shape, as shown above, with a score down the middle. 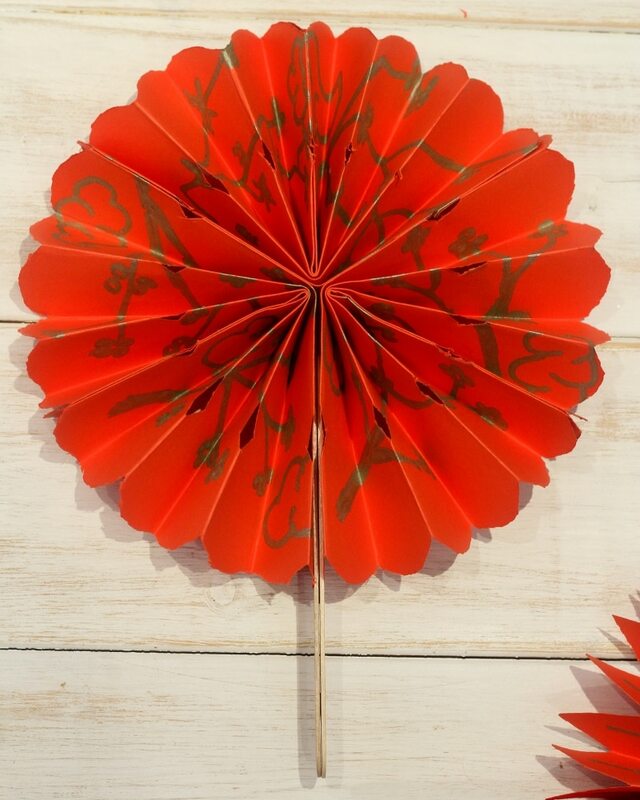 Once you have the shape you would like, you can decorate the section of fan however in any way. 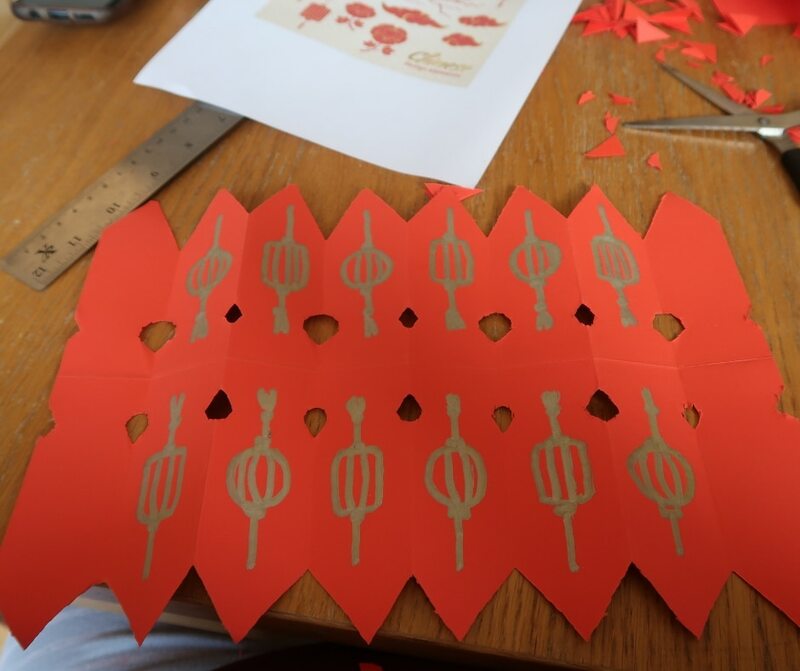 We used gold pen and shapes like blossom and hanging lamps to give our fans a sense of the Chinese New Year. You could also decorate the card before you fold it, if you would like a more general drawing. Any design works well. Repeat this process for all three pieces of paper or card. 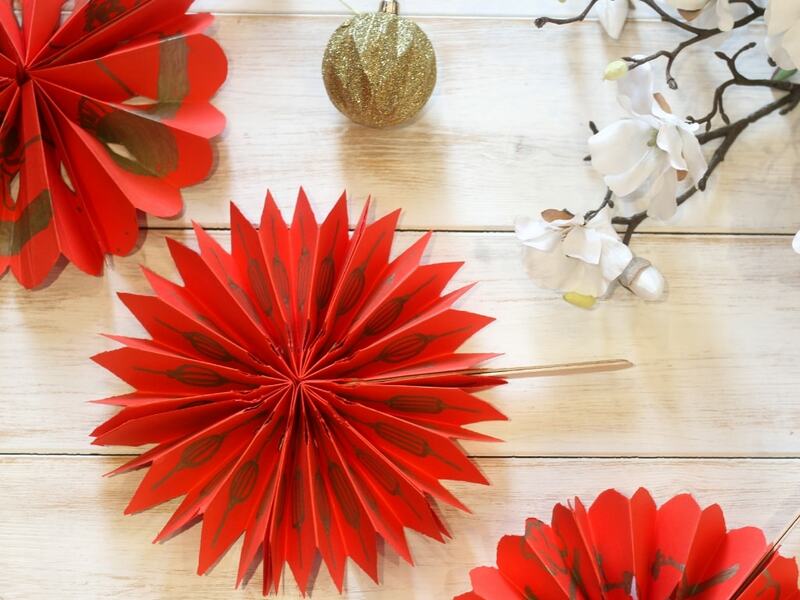 Once your design is finished and any decorations are dry, the next step is to glue each section together. Start by glueing one side of each A4 folded sheet to the other side of the score. 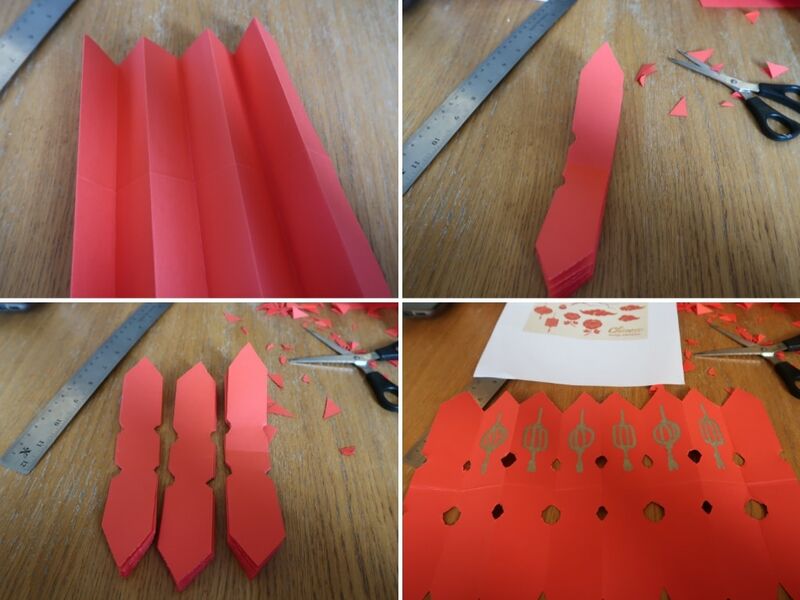 Once this is dry, glue the three sections together to create a circle concertina shape, as seen below. You should now have a concertina that folds out to create a circular fan shape. Finally, glue a large wooden lolly stick to either end of the concertina, making it easier to open the fan and keep its shape. 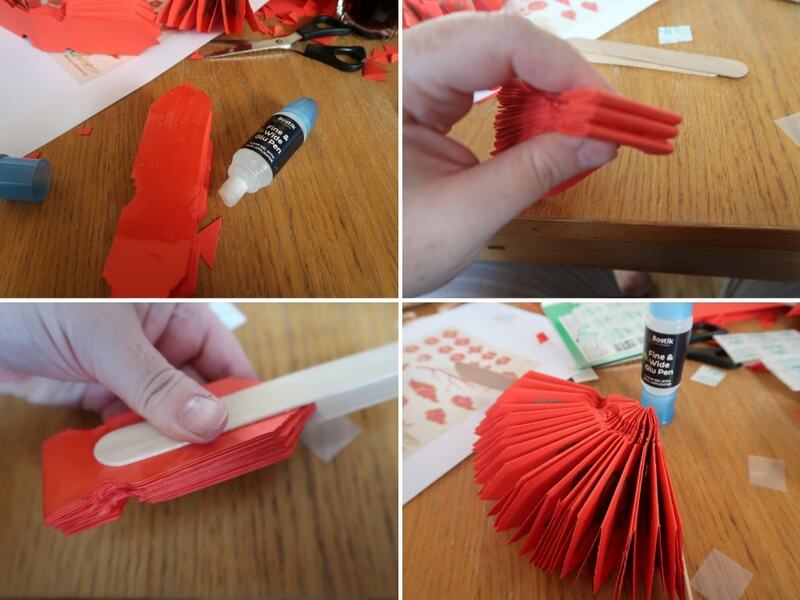 If you wish, you can secure the lolly sticks together with glue dots so that the fan keeps its shape all the time. These fans look really effective, however you choose to decorate them. 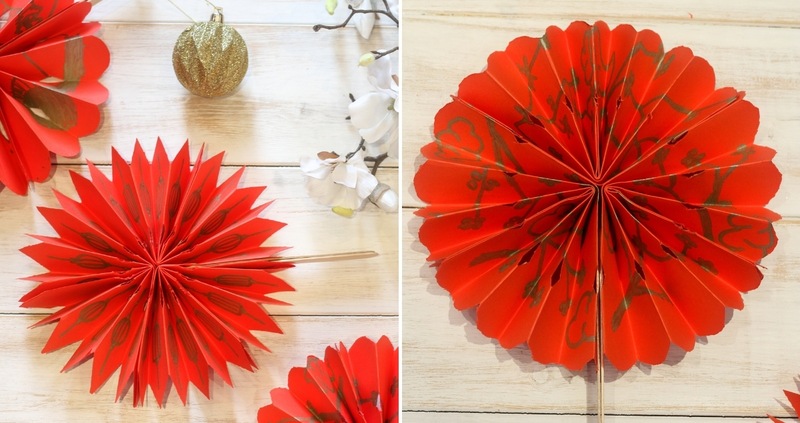 They make great decorations for a Chinese New Year Celebration, but likewise they would make great decorations for any party, celebration or wedding. Simply choose colours and decorations that suit your theme. 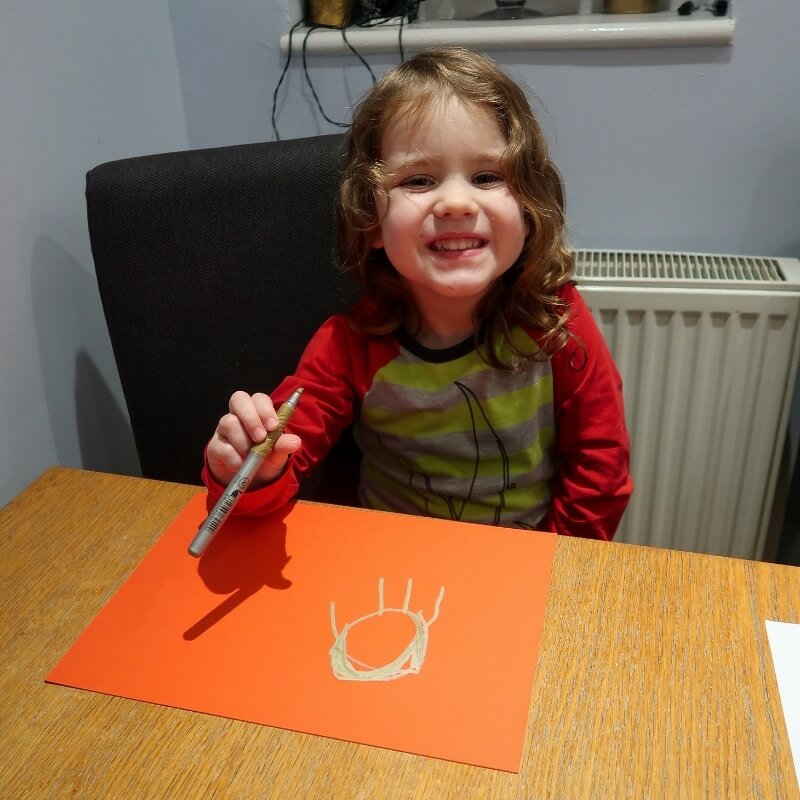 Children will love making them as they can be quite free and imaginative with their design and the finished fans are great for imaginary play.